See the full Wairarapa Times-Age story here. This entry was posted in NZ Olive News on 25/03/2015 by ponatahi. The Olive Press (TOP) received the “Best Processor” Award from Olives NZ in the 2014 competition. 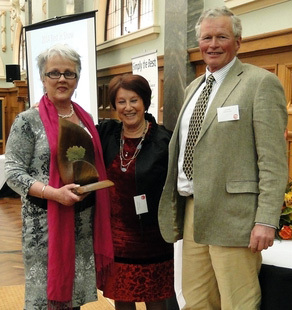 The 2014 Extra Virgin Olive Oil Awards saw plenty of competition for Best Processor, with The Olive Press, Wairarapa beating out Waipara Olive Press and The Olive Place for the top award. This entry was posted in News From TOP on 25/03/2015 by ponatahi. Olives New Zealand, the olive industry body, has a comprehensive website with all manner of information and resources. Go to the Olives NZ website. See also their buy and sell pages. This entry was posted in NZ Olive News on 12/09/2014 by Bruce McCallum. The Awards judging will be carried out at Massey University’s specialist food tasting laboratory at their Albany Campus from 16th to 18th September. This entry was posted in NZ Olive News on 16/01/2014 by ponatahi. The Olive Press (TOP) has recently finalised a deal to take over management and maintenance of a 1,100 tree grove in Carterton, Wairarapa. The deal was for a five year lease with two five-year rights of renewal. This entry was posted in News From TOP on 16/01/2014 by ponatahi.